Become a Drive Leader to support our Back-to-School and Holiday Wish Drives. Who can be a Drive Leader? 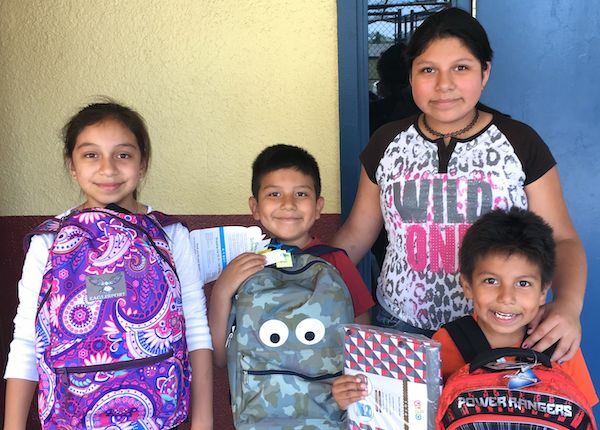 Anyone who is part of a group—a business, school, family, social club or friends—and wants to help children-in-need in the community is qualified to lead a Drive as part of Family Giving Tree's Holiday Wish Drive or Back-to-School Drive. Facilitate donations and participation within your group by posting backpack tags and wish cards in a well-traveled area or distributing them to friends and colleagues. Set up a Virtual Giving Tree (VGT) to allow for online donations. Deliver the donated items collected to Family Giving Tree's donated warehouse. Receive priority when signing up for Family Giving Tree's in-demand warehouse volunteer shifts. Have a direct impact in your own community. Want to support a Drive without leading one? Find a Drive Leader near you. Donate Online - Your generosity allows us to serve more children by buying gifts and school supplies in bulk. Volunteer at our warehouse during a Drive. Spread the word - Tell others about Family Giving Tree and how we are bringing joy and learning to children living at or below the poverty line. Visit, friend and share us with your social media group on Facebook, Twitter, Instagram, and LinkedIn.